Let’s face it. We already know a whole lot of what to expect about 2011. We already know that we’re getting two badass new handheld systems in the 3DS and NGP. We also know that we could potentially have a Game of the Year contender by April when Portal 2 comes out, and that Uncharted 3 and Mass Effect 3 will be easy contenders on their release dates as well. But there are still a handful of things that we don’t know. Mysteries, as it were. GamesRadar was kind enough to put together a list of the 12 biggest gaming mysteries that they hope to see answers for in 2011. These mysteries include but aren’t limited to: Tali’s face, the release of HL2 Episode 3 and a window for the next generation consoles. There’s a bit more to it than those few I named, so I’d recommend checking it out yourself. Personally, the biggest thing I want to know in 2011 is the console question. I love the stride that this generation has hit on all fronts, and hope to see it continue for quite some time. I don’t want the will-they-or-won’t-they question hanging over us for several more years. I just want someone to say the consoles won’t come until 2015 and then we can all move on and enjoy our games. So what about you guys? 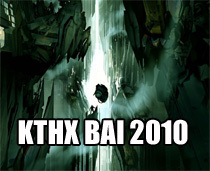 What are your biggest gaming questions for 2011, both in terms of untold stories in games or the industry at large? Go! GameCop Vs LameCop Vs PsychoCop: E3 Edition! It’s been a couple of months, and many of you left feedback that you love the GameCop vs LameCop vs PsychoCop feature, so we thought we’d do an honorary E3 rumor edition! If you’re unfamiliar with this feature, we discuss gaming issues and we switch roles each time. 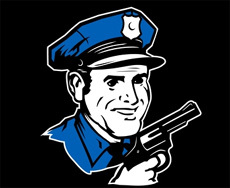 The GameCop is looking out for you, the gamer, while the LameCop is just what he sounds like: kind of a lamewad. Meanwhile, PsychoCop is a troll in every sense of the word, and completely bat poop insane. In honor of next week’s E3, we have a completely intellectual debate regarding the status of several E3 rumors, including Hulu coming to the XBox 360, Rockstar pulling out of E3, and Valve’s special showing. Continue reading GameCop Vs LameCop Vs PsychoCop: E3 Edition! Posted on June 9, 2010 Author EddyCategories Features, FPS, GamerSushi News, Industry News, PC, Playstation 3, Rumor, XBox 360Tags E3 2010, half life 2 episode 3, Rockstar, valve9 Comments on GameCop Vs LameCop Vs PsychoCop: E3 Edition! If you haven’t been paying attention, or if you’ve somehow wandered away from the Internet this week, you may have missed the fact that Valve is going bat poop loco with some new viral marketing regarding Portal. They’ve updated the puzzle FPS classic with some mysterious radio codes as well as a new achievement in the last week, and have sent their fans into a rabid frenzy: here is an active Steam thread where they are decoding some new images. As if that wasn’t all enough, Valve has let loose with some not so subtle teases about its Steam platform seeing a potential future release on the Mac OS. They’ve put together images from several different Mac ad campaigns and incorporated Half Life 2 and Source characters in them. Say what you will about them, these guys are damn clever. And on top of all that, people have discovered that Portal has been sneakily updated this week with a new ending… Yes, you read that right. If you don’t feel like playing the game to see, check out this video of it below. So what do you guys think this is leading up to? It seems that Valve is really laying it on thick about a Portal 2 announcement, but there seems to be some Episode 3 imagery in the coded messages as well. Could we be getting both of these bundled in one awesome box? I certainly hope so. Theorize away! Rumor: No Half-Life 2 Episode 3 in 2010? Oh man, this one hurts for all of you Half-Life 2 fans, I’m sure. 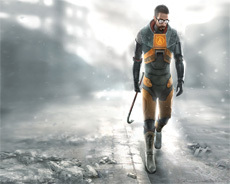 It seems that Game Informer is reporting that there will be no Half-Life 2 Episode 3 out this year. Apparently, this was reported in the rumor column of the magazine, hinting that the next project that Valve is working on might not even be called Episode 3, but Half-Life 3. As video game fans, we are used to delays, but I’m sure this one comes as a blow to the many devoted Valve followers out there. Especially considering the fact that two Left4Dead games have seen release in the last two years, with no news or updates on HL2Ep3 besides some vague concept art back in 2008. While I’m not ready to cry foul on this (it’s no Gran Turismo 5, that’s for sure), I do understand the many people who will be bummed out by this news. So what about you guys? Are you upset? Were you really hoping for the next installment in 2010? Posted on January 20, 2010 Author EddyCategories FPS, GamerSushi News, Gaming Theory, Industry News, PC, RumorTags half life 2 episode 3, half life 3, hl2ep3, left 4 dead, valve17 Comments on Rumor: No Half-Life 2 Episode 3 in 2010? And by “far away”, I mean 2010. Though the wait between Half Life 2 and Episode One was about 2 years, Valve’s Doug Lombardi has said in an interview that the next installment of the epic storyline will probably take a little longer than that even before it’s ready to release. Episode 2 came out in 2007. So yeah, 2010 or thereabouts. While this seems like a downer, he also hinted that they could be showing something new by the end of the year, after Left 4 Dead’s release. Fun stuff! So who is anxious for Episode Three?